Ever since the 2016 election, pundits have been saying our country has never been more divided — that if progressives want to reclaim power, we need to be “pragmatic,” reach across the aisle, and look past identity politics. 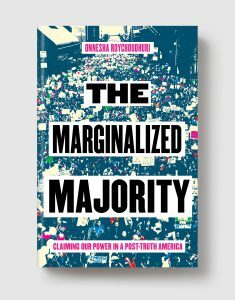 In The Marginalized Majority, Onnesha Roychoudhuri makes the galvanizing case that our voices are already the majority — and that our plurality of identities is not only our greatest strength, but is also at the indisputable core of successful progressive change throughout history. From the Civil Rights Movement to the Women’s March, Saturday Night Live to the mainstream media, Roychoudhuri holds the myths about our disenfranchisement up to the light, illuminating narratives from history that reveal we have far more power than we’re often led to believe. With both clear-eyed hope and electrifying power, she examines our ideas about what’s possible, and what’s necessary — opening up space for action, new realities, and, ultimately, survival. ONNESHA ROYCHOUDHURI is a Brooklyn-based writer, editor, and educator. 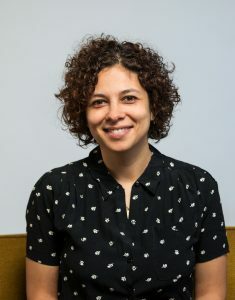 Her work has appeared in publications such as Rolling Stone, n+1, Virginia Quarterly Review, Boston Review, The Nation, The American Prospect, Salon, and Mother Jones. She is the co-founder of Speech/Act, an organization working at the intersection of storytelling and social justice.